It is not fully confirm how much salary of the employees will increase in the Financial Budget 2013-14. Various news has been received from the different News Papers regarding the pay and allowances for the employees. No one can say how much salary will increase for the employees. Many days ago news aroused from a newspaper that there will be only 15% increase in the salaries. Various organizations have demanded to increase a handsome pay and allowances for the Govt Employees. But no official statement has yet been received that shows that is no big chance in this regard. As you all know that there were so many rumors till the January 2013 for the Unified Pay Scales & Revised Pay Scales, Housing Monetizing etc for the Employees and all became the part of the past. Pay and Pension Committee continued its meeting since many previous years and the result of their meeting was ZERO. In the present situation there are no chances of Unified Pay Scales and I think also for the Revised Pay Scales as the time is short and Financial Budget is to be announced within few weeks and in the same way the New Govt has not yet assumed the charge. I today want to request to the Govt that it must look into the matter of the poor employees of Pakistan as the employees are living from hand to mouth especially the lower grade employees. They are forced to do part time work to meet their daily needs. The present pay and allowances for the employees are not enough to put food on the table for their kids. Only food is not their issue there are many other issues: The schooling of their kids, medicines for the family, the prices of those are increasing with the every day passing. According to survey most of the lower grade employees are forced to take loan to meet the needs of their routine. Their pay is gone with the first week of month. The same case is with the pensioners. When an employee is retired from Govt Service he/she gets average about 600,000 gratuity that is not enough even to purchase a 5 Marla Plot in any city. The matter of its construction is the other issue if he succeeds any way to purchase a 5 Marla plot. Govt should also do some thing in this matter. Keeping in view the above facts the Govt should look into the series matter of the poor employee and there should be at least 50% increase in the salaries of the employees with the condition that there be no increase in the dearness. 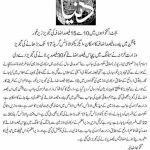 I am here publishing a news clip from the daily express that shows the demands of the employees and the response of the Govt authorities. I m really very happy and appreciate your efforts for the protection of collective interest of various sects of the society, Allah blessed upon u. 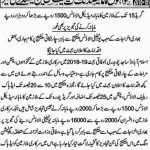 (daily wages) employees in various departments of Govt of Punjab province. Dear Sajid Ali, Thanks for appreciating mine efforts. The regularization depends on the Govt. Whenever Govt wants can regularize the employees. i am newly appointed as assistant engineer in balochistan govt .will u plz tell me my starting paw including all allowances ? Dear Baluch, plz see the detail of ur pay at the Bottom Heading "Popular" of my site. Dear Abdul Salam plz ask the same from the concerned authorities. Airport Srecurity Force jo k pehle Defence Manistry k ka ta ab CABINET k sat ker diya gaya.servents ko Cabinet k sat krane se kia faida ho ga? 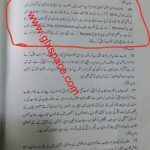 Dear Hassan, yeh to aap ka department hi pata sakta hay kia faida ho sakta hay aour konsa nuqsan ho sakta hay. Mera Sawal ya hy ke Finance Minister ne pay Increase ki hy ye adhoc mile ga ya basic pay me zum ho ga..
Dear Zahoor I think it will be on the running basic pay. Dear Hassan abhi tak koi final nahin hua. Dear Arsalan there should be atleast 5 years regular service for such long leave. Dear DDO means Drawing and Disbursing Officer. It is generally the head of the Office where you work. Dear Shumaila Salam, i m federal employ, had passed my B.A in 2002 and M.A in 2004, i m not getting four Advance Educational Increments. please guide me. Dear Benish Advance Increments were stopped wef 01-12-2001. 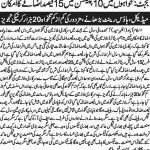 Thank you for your quick response ,i really appreciate your efforts that you have provided a platform for govt employees, in which all employees can share their problems but in my case , some provincial deptts are giving these increments and authority letter was published in all newspapers. (Regulation Wing)Islamabad the 18th June, 2011. Thanks Dear Benish for admiring mine efforts. If u have the notification u mentioned plz email me. Dear Atiq KK according to my information still there is no up-gradation. however the case is the court. Dear Raja Sajjad his ex DDO will countersign his form. Dear, I'm the employee of an Organisation which is an attached department of Federal Govt , comes under the Ministry of Defence.. Employees over here are over due for promotion as since its creation the employee who was appointed as UDC is still at the same Cadre i.e. still UDC till to date since 23 years. That is approximately same for the all the lower posts too. There are approx 08 clerks and the Organisation' authorities always say that there is no sanction bullet in Asst, Asst Incharge or Superintendent so we cannot promote u people. Is this justified. Please do guide us. While recruiting different categories criteria for quotas are not fulfilled. Women quota is not fulfilled to whom should we complain. Kindly do favour for us and guide us the way out. Kindly help me regarding pay fixation. I have re-appointed from pay scale 14 to 17 and rejoined on 25 june 2009 in the same department. One premature increment was granted to me but annual increment 2009 was not granted to me(neither old nor new). If u have any federal govt ruling regarding this anomaly, pls send me. Dear Hanif as your service in the new scale is less than 6 months that is why you are not eligible for the ANNUAL INCREMENT. Dear Hanif sab as per civil servant rules minimum six months service in same scale is compulsory for annual increment upto 30th November mean if a person promoted or re-appointed on or before 31st May he is entitled for service increment. You have re-appointed in grade 17 on 25 june 2009 and your service in grade 17 is less then 6 months upto 30th november so you were not entitled for service increment. Dear Raja here is some correction that the appointment/promotion must be on or before 1st June. If any one joins on 1st June then his service is 6 months before 1st December. DEar Zahoor Khan I am not fully about the same and I thin their seniority be according to their appointment. Newspapers wale jo Finance ministry walon se roz milte hain woh 10%-15% keh rahe hain apko ye 25% ka ilham kese hogaya. Source? Dear Iftikhar Hussain if only year is known then 1st July of that year is counted as Date of Birth. You can see the full topic in the employees corner and then in Miscelenious or Rulings at this site. AOA, thanks for intimation and termandous effort for the Govt. Servants. Thanks Dear Shafqat for admiring mine efforts for the Govt Employees of Pakistan. Assalam O Alikum my dear friend. 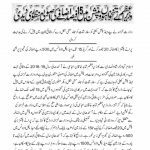 Khushi ke habar ye hay ke House Rent 45% sab keley or 2012-13 pay scale par fisala howa hay budget me baray gay. I have come to know through news paper that Mr. Nawaz Sharif said that "Govt employees should support me for stable Pakistan and no demand should be asked in increase of salaries for upcoming three years"
It's not fair, it's against the employees.. we will not accept this suggestion...! ent gerygoity 600.000.my mome retaird as aya. WAPDA hospital sukkur in the year 2009.government pay only 190000.what can I do?if any notification. Have u plz send to me I thankful to u.
Dear Rasool Bux I just mentioned average gratuity. It is not for all employees. Dear Malik Akhtar the notification is available at mine site. Many thanks for taking so much pain for all deprived govt servants. However, this govt has adopted for very controversial steps towards welfare of govt servants. The latest example is 20% increase which is only being given to people who are working in Main Ministries buildings in Islamabad only, are other govt servants are not human? This double standard and anomaly towards pays/salaries needs to be removed forthwith by introducing a unified pay scale for all govt servants. I think Dr. Ishrat have done quite a commendable job and his recommendations can be used as a torch bearer for preparing new budget for govt servants. This is a clear cut anomaly that a driver of a court or President house or PM house is drawing more pay than an officer of BS-16 & BS-17 in other departments, what is the yard stick for preparing a pay structure, it is not understandable at all. Kindly do take prayers and sympathies of poor govt servants and their pay scales may be made strong enough to cater this inflation rate. We all are eagerly looking at the Nawaz Sharif to give as much compensation/relief to govt servants so that they can serve Pakistan in a dedicate manner and in a better way. Hope our sister will also help in conveying our voice to the highest and concerned quarters. AOA. Kindly do mention the poor condition of old pensioners who are getting meager amount of pensions. More over steps should be taken to balance the difference of pensions in the scale of old and new pensioners. Of course you will be asked at the Day of Judgement. non-compliance of supreme court order regarding relieving of officers who got out of turn promotion. kindly struggle for implementation in all offices .